Rocco loves the sand and surf at Fort Lauderdale beach! This week we're enjoying some fun in the sun in Fort Lauderdale. We're both loving the warm weather and lots of sunshine! 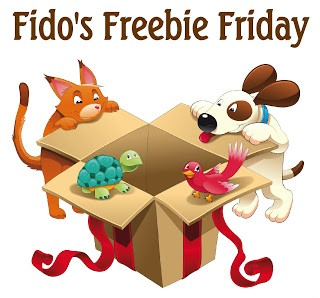 While you're ringing in the new year, it's the perfect time to check out some of the great giveaways at Fido's Freebie Friday! You'll also find all sorts of goodies in the giveaways listed below. You can enter them all or add your own! We make it easy by linking them up all in one place.